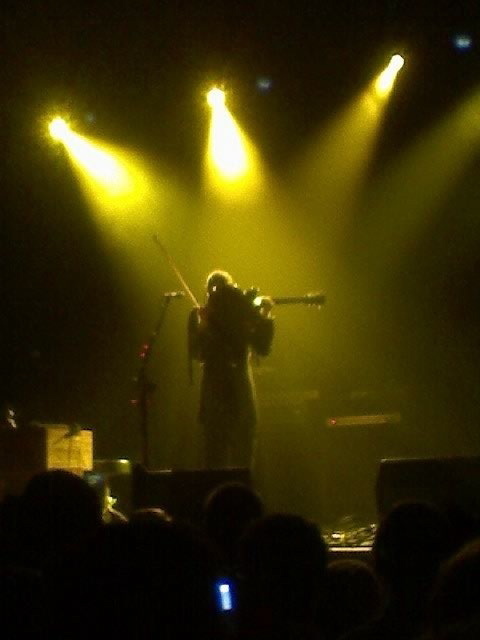 Tag Archive | "Concerts and Festivals"
Honestly, I would have paid just as much to go see the Parachutes play on their own after seeing them open for Sigur Ros. They were amazing in their own rite. However, Sigur Ros was more than amazing. They were moving. It was like being in slow motion watching events move around you and then all of sudden feeling like you were apart of it. Something beautiful. As they play you keep thinking that they have hit a peak but they all of a sudden they take off again. The sound gets more full. You start to wonder if their is even enough room for their music and all of these people in the same building. At one point they dropped confetti down like snow. Pieces fell onto the drummer as he played. It bounced off the cymbals as he hit them. I took some home with me to remind me of the show. Sigur Ros has for years been on my “bands I need to see list.” Now that I have seen them I can say with out a doubt I waited way to long. I can’t help but wonder if my life would be different had I not waited so long. Until next time Sigur Ros, Thank you. San Diego’s FM 94.9 presented the Miller Lite Independence Jam 2008 on Sunday, June 8 at Southwestern College. I went, I saw, I danced, and I got rocked. Oh, and sun burnt. Everyone in San Diego had been aflutter about this annually held event for weeks before the festival, and why wouldn’t they with a lineup like this? Acts included Santogold, the Ting Tings, the Whigs, MGMT, Cold War Kids, the Hold Steady, and Flogging Molly. 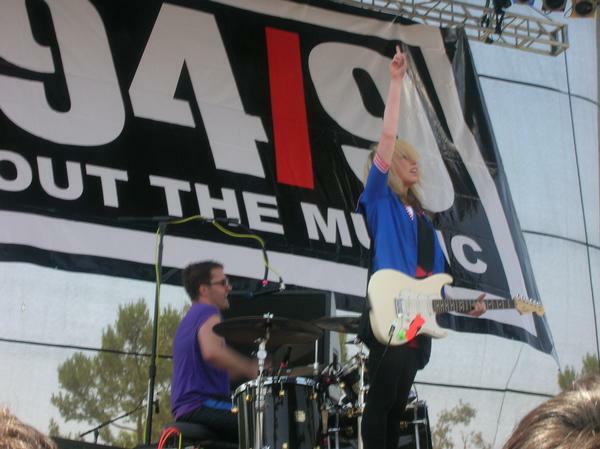 Local music friendly station FM 94.9 also presented a stage for buzz worthy San Diego acts. Santogold has recently exploded onto the popular rock scene with a Tegan and Sara-esque hit “L.E.S. Artistes”, but this chick has far more flava than the twins. She put on a great hip-hop set that got the entire football field bumping. Her DJ was phenomenal, and her perfectly symmetrical dancers taught everyone a few new moves to try throughout the day. London based duo the Ting Tings came next. If I had to use one word to describe this set, it would be fun. So. Much. Fun. That’s three words, but who’s counting? This band deserves it. Their pint sized front woman worked the mic and the stage like she was born to do so. Her sweet appearance is only a cover for a gritty rocker spirit. She was knocking over mic stands and throwing clothing and mallets around with reckless abandon. This group is getting a lot of attention due to their danceable songs and catchy lyrics. Anyone heard the song “Shut Up & Let Me Go” recently? Thought so. The indie kids hit the beer garden and the rockers came forward for the Whigs’ powerful set. Southern rockers through and through, this group completely blew me away with heavy, intricate guitar work and amazing percussion. Ladies, their vocalist may not be the most photogenic of the group, but in concert he is downright dreamy. Of course the band on everyone’s playlist right now is MGMT, and they definitely lived up to their hype. The band played all of their singles to an extremely enthusiastic crowd. It seemed the football field swayed in unison to MGMT’s trance tunes, and then danced as one during their better known singles. I can’t imagine anyone was let down by this set. Unfortunately for myself, I was unable to stay for The Hold Steady, Cold War Kids, and Flogging Molly. Internet browsing turned up the following general consensus: The Hold Steady were drunk off of their asses, Cold War Kids surprised many with progressive songs from their upcoming album, and Flogging Molly gave everyone the perfect soundtrack to get beat up to in the day’s only mosh pit. The man is an entertainer that’s for sure. I didn’t have any idea, beyond good music, what I was in for. I saw him at Kilby Court in SLC. I’m pretty sure he never actually played the keyboard normally. He stood on it. He stood above it. He stood in front of it. He even rode in like a horse while using the mic cable as a lasso but never just sat down to play. I’m certain we were powering the venue with the energy he was producing. What a show. 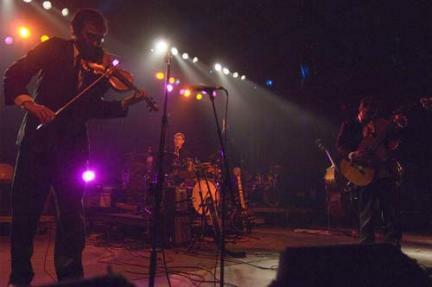 The Big Easy in Boise, ID (a great venue by the way) was blessed with the presence of Devotchka and I was lucky enough to be there. After a 5 hour drive we arrived and headed in just before they went on stage. It was an amazing show. The performance was flawless. Tuba, upright bass, guitar, violin, viola, cello, accordion, drums, trumpet, and piano all coming together to create a sound you rarely hear and never forget. Go look up their tour schedule and see them. Yes, now. It took me a little longer that I would have liked to set the sound up for these guys but it was really worth it. It was one of the best shows I’ve seen in a long time. My favorite song from them right now is definitely Lovers Past. 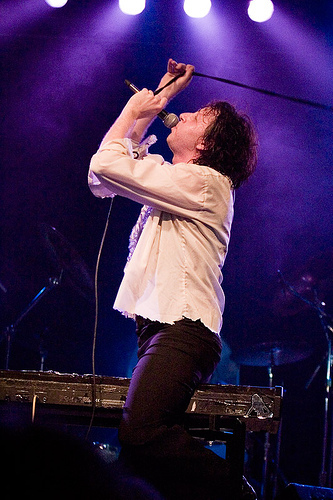 I recently saw them play at Kilby Court opening up for Mark Mallman (an astonished wow is all I can saw for him, he rode his keyboard like a horse while swinging the mic cable in the air like a lasso). The Andy Martin band was great to listen to. The aptly named Piano Song was a slow building ballad with a great finish. I think the Train Song is my favorite so far. Go give them a listen but if you really want the truth go see them live. Out at the Urban Lounge last night we had the pleasure of an evening with Port O’brien while they opened up for Crooked Fingers. I was already into their song ‘I Woke Up Today’ but I loved nearly everything they played. I really enjoyed ‘Fisherman’s Son’. About one year ago, a guy approached me during a show at the Casbah. After going through the usual formalities that accompany the whole “boy hits on girl” ritual, he told me “I hope you’re going to stay for this next band. They’re friends of mine, and they’re so great. I’ll get you a cd!” I declined, not wanting to take advantage of my situation and accept a gift from a stranger, but I did stay. I was so glad that I did. I’d gone to the show to see the Silent Comedy (mentioned on day one of this installment), and wondered who these other group of dudes were wandering around in vests and porkpie hats. Though they opt for a vintage look, Crash Encore are anything but outdated – they are quite classic, actually. They play wonderful pop songs that are pulled off perfectly by vocalist Jon Bishop’s sweet voice. Bishop is one of those rare people who is an artist through and through. He doesn’t have a separate stage persona and a daily image. The guy who hit on me that night wasn’t kidding, they were friends – as we became accquainted, I spent time around Bishop and the other bandmates (and bonded with his Minnesotan girlfriend), and was always struck by how clever and creative – and deceptively aloof – the guy was at all times. He also wasn’t kidding about them being great. After seeing their set that first night, I accepted the free album, and then I got it signed.